So Many Ways to Save at XEX! Are you getting compliments from co-workers on your new cut? Have a friend who is looking for a new salon? Refer them for XEX and you will both receive 30% off hair and make up services, 15% off beauty products and 15% off Darra gifts. You’ll receive the discount for each person you refer! To refer a client, pick up a card at the salon or visit xexchicago.com/offers/agiftforfriends/ to fill out the online referral form. 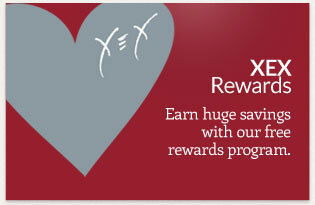 Our XEX Rewards program allows you to save up to 50% off any XEX service or product. 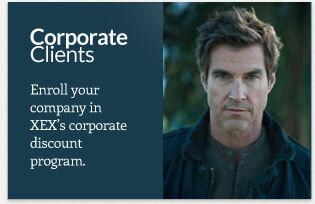 You earn points from each service you receive and product you purchase at XEX. You also receive points from referring friends, buying gift certificates, and booking your appointment online. You can earn rewards points online too by writing a review of XEX on Facebook, Google+, Citysearch or Yelp. “Liking” us on Facebook or tagging us in a Facebook post will earn you points as well. XEX Rewards are completely free. 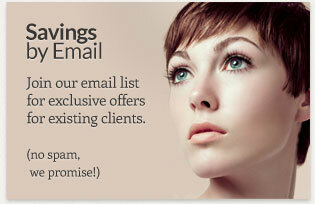 Ask us about it the next time you visit the salon or visit http://xexchicago.com/site/offers/rewards/ for details! 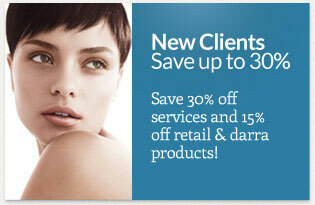 New clients save 30% off all hair services and 15% off beauty products and Darra gifts. Click here for details! Every day XEX is open we post a daily deal in the morning (usually around 8 am). “Like” us on Facebook at facebook.com/xexchicago to make sure you don’t miss out on the daily deals. If you have “liked” XEX on Facebook and aren’t seeing our daily deals or other posts, they might be hidden from your feed. To ensure you see our posts, visit facebook.com/xexchicago, then hover over the “Liked” button under our cover photo. A drop down menu will appear. Click “Get Notifications” from the drop down menu and you’ll be all set! 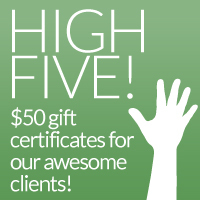 XEX has teamed with local Chicago businesses to provide our awesome clients with gift certificates. We give away gift certificates to restaurants and other businesses on the 5th, 15th, and 25th of each month. The gift certificate amounts range from $40-$100. “Like” us on Facebook, join the email list or visit the XEX blog for updates on High Five Giveaways. We know money is usually tight while you’re in college, so we offer all college students 30% off hair & color services and 15% off hair & beauty products. 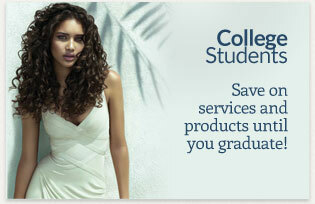 Simply present your college ID at your appointment to receive the discount! You can use it as many times as you’d like until you graduate. And don’t forget, each Wednesday we donate $1, equal to 8 meals, from your visit to Feeding America. To date you have helped us provide over 756,000 meals to those in need!